Yesterday was our first full day in Seattle. This city is amazing! 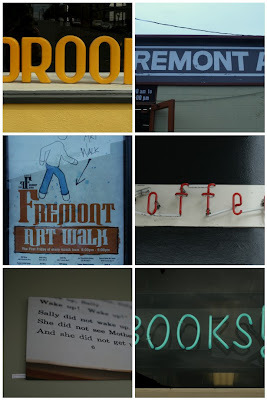 We thought we'd check out some of the smaller neighborhoods, so we hopped on a bus to Ballard. This neighborhood has always been known as Seattle's 'Scandinavian sweetheart' with a rich fishing industry. In the last few years, however, it has become known for its cute locally-owned shops and up-and-coming restaurants. 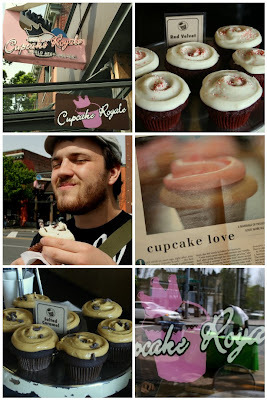 After checking out some really sweet shops, we hit up Cupcake Royale (the headquarters, known for beginning the cupcake revolution) for an amazing treat. We also checked out the Mars Hill campus in Ballard. This visit meant a lot to Kevin especially, as he has followed this church over the years. We've seen a few of their campuses while we've been here, and it is very interesting to see how they are making use of the big, urban buildings they own. Next, we headed to Fremont. This neighborhoods motto is 'Freedom to be Strange'...and strange it is! 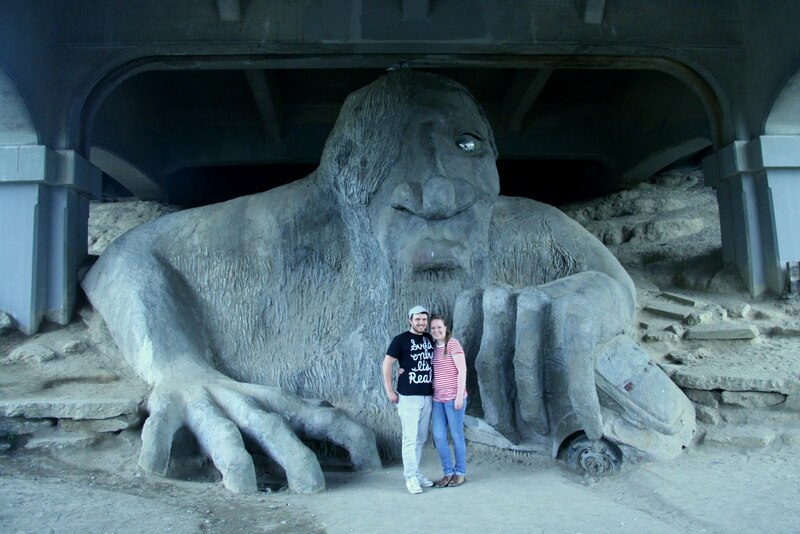 There were so many quirky things to see in this little shopping district: funky coffee shops, awesome vintage stores, and the troll. That's right. He lives under the bridge. After a long day of exploring, we headed back to Renton, where we stayed with my cousin and his family. We enjoyed an amazing salmon dinner (fish is so much better over here! ), and playing with their adorable kids. Seriously, our hearts were melting. HI Meaghan. Looks like the two of you are having an amazing trip. Hope you're enjoying the rest of your West Coast visit. 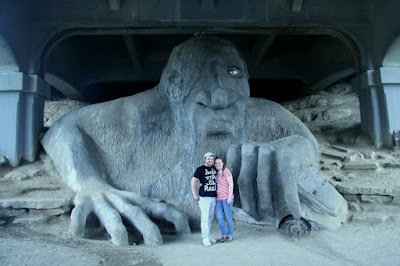 The troll TOTALLY reminds me of 10 things I hate about you!